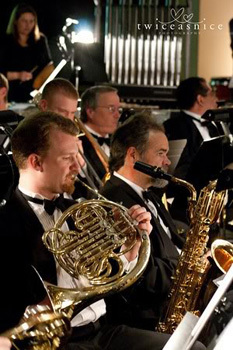 The Moreno Valley Wind Symphony, part of the Moreno Valley Community Bands family, is the Inland Empire's premier all volunteer symphonic wind ensemble and one of the leading symphonic wind ensembles in Southern California. Our goal is to provide the Inland Empire with quality music through our concerts and provide a professional musical outlet for our members. Many of our members are full time school music instructors and musicians. However, we have members who work in professions not related to music but have a desire to continue playing challenging music. This all-volunteer ensemble meets once a week with the desire to create great music through four formal concerts per season. Comprised of woodwind, brass and percussion, the wind symphony performs a variety of wind literature ranging from Holst and Vaughn Williams to Bernstein and Williams. 6) to enhance the cultural life of Moreno Valley and the region. The Moreno Valley Community Band organization was established in 1987 by founding members Caesar Ricci, the late Dr. Rudy Sun, and the late James K. Griffin. This created the Citrus Wind Ensemble, the Citrus Swing Orchestra and later, the Moreno Valley Premiere. That summer, the City Council of Moreno Valley recognized the importance of a local town band to its community and granted MVCB the status of Official Band. Since then, Moreno Valley Wind Symphony has entertained thousands of people, in many types of events, both at home and throughout the Southland. Today MVCB is called ‘home’ to over 100 musicians and continues to grow year after year.